Every 20 minutes, two laptops from India relay their location to researchers at the Massachusetts Institute of Technology. The location is determined using Google's geolocation application programming interface and a picture from the laptops' in-built cameras. Two volunteers from India, whose identities have been protected by MIT, are part of a larger project which MIT researchers began this March to find what happens to used electronic devices after they are disposed. 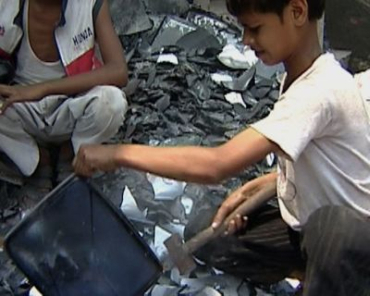 The researchers started working with electronics recyclers and educational non-profit organisations which donate outdated computers to developing countries like India, Indonesia and Kenya. The MIT researchers equipped 40 refurbished netbook computers with tracking software adapted from the open-source Prey project. Image: MIT has equipped 40 refurbished netbooks with tracking devices. Prey is a tiny software agent that can be installed in one's PC or phone. It awaits a remote signal to wake up and work. The signal is sent either through the internet or an SMS. It allows one to gather information regarding the device's location, hardware and network status, and optionally trigger specific actions. Prey uses either the device's GPS or the nearest Wi-Fi hotspots. Collaboration with Qualcomm and LG Electronics helped make the global tracking technology project successful. Outreach partners for the project included World Computer Exchange, the Peace Corps and World Teach. Image: Outreach partners include World Computer Exchange. With the consent of the new owners, data from the refurbished laptops are sent to MIT in real-time and used to construct visual narratives about the computers' second lives. "As our objects, buildings and cities become digitally controlled and smarter, they are also being embedded with an increasing amount of electronics," says Carlo Ratti, director. MIT Senseable City Lab. 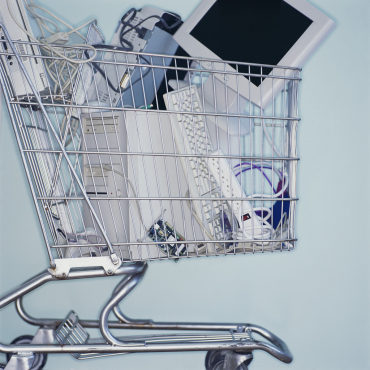 "But what happens to these electronics once they are discarded? This is what our project set out to explore. Initial results provide an unprecedented glimpse into the global e-waste chain and its patterns of reuse and disposal." The MIT researchers have begun unveiling some of the results of their work in a series of real-time visualisations. Image: Researchers have begun unveiling some of the results. Entitled 'backtalk', the visualisations are part of an exhibition 'Talk to Me: Design and the Communication between People and Objects', opened to the public on July 24 at The Museum of Modern Art in New York. 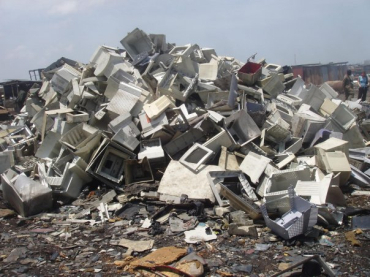 The visualisations shed light on what happens to the large volume of electronic refuse that is generated annually, as well as the second lives of used computers adopted by new owners. "The computers are used under the supervision of local volunteers from non-government organisations to ensure informed consent on the recording of images. We are in contact with the volunteers and they have the option to reject images. 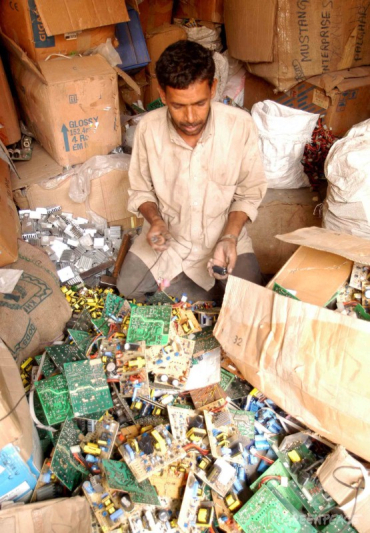 Image: Visualisations shed light on e-waste. "We are moderating the incoming images to make sure nobody 'looks bad' on the images," says Dietmar Offenhuber, project leader of the 'backtalk' team. A team from MIT Sen-seable City Lab began a similar project 'Trash Track' around three years back, to track the journey of 3,000 items of waste (with custom-developed smart tags whose trajectories were monitored in real-time on a central server at MIT) as they moved through Seattle's disposal system. Among other things, the team found over 75 per cent of the waste tracked reached recycling facilities. The findings were revealed this year. 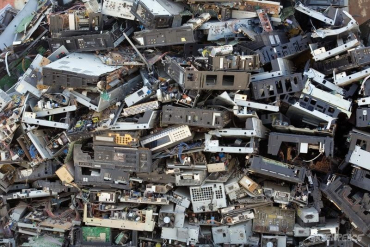 One reason why obsolete electronics are transported over large distances is the sparse geographical distribution of dedicated recycling facilities. Image: Over 75 per cent of waste tracked reached recycling facilities.